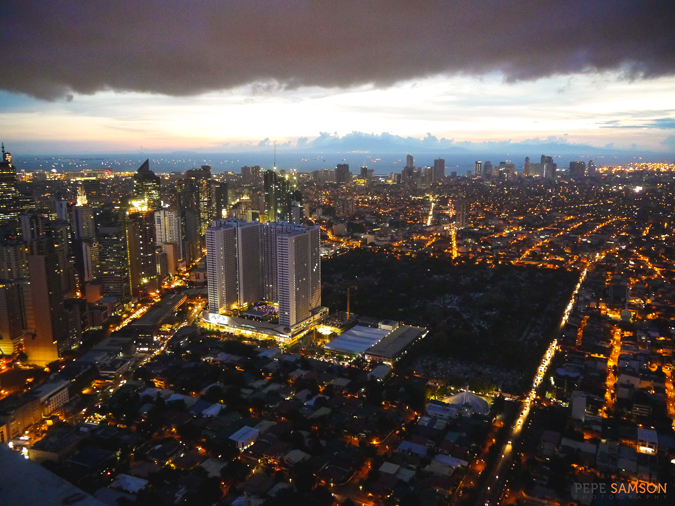 There’s nothing like appreciating a city from above, and if you love to drink after a particularly long day, double the experience by going to one of the rooftop bars in the neighborhood. 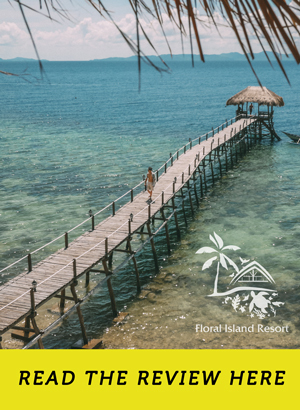 Aside from, obviously, the breathtaking views that they offer, these bars are oftentimes less crowded and more laid-back than the ones down below. 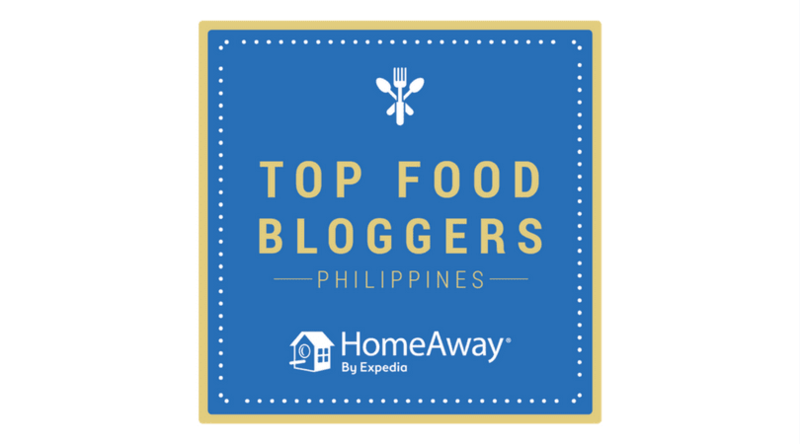 With some extra research (and cash), you can have a perfect night with unmatched ambiances, superb food, exquisite drinks, and of course—great views. 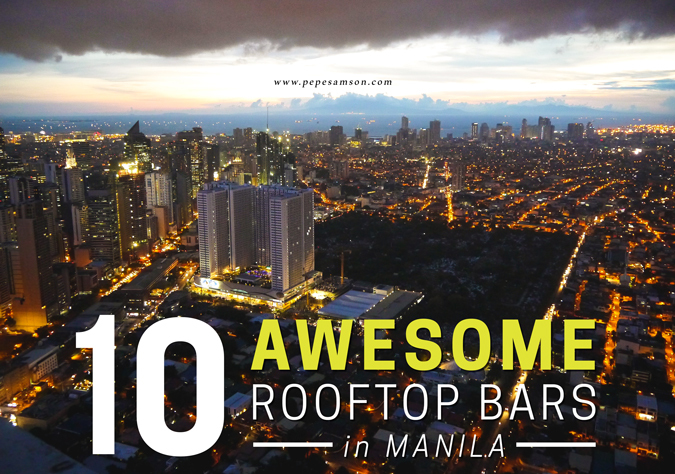 Below, I have compiled a list of 10 awesome rooftop bars in Metro Manila. I’m willing to share these secrets with you, as long as you promise me you won’t beat me to my usual table. 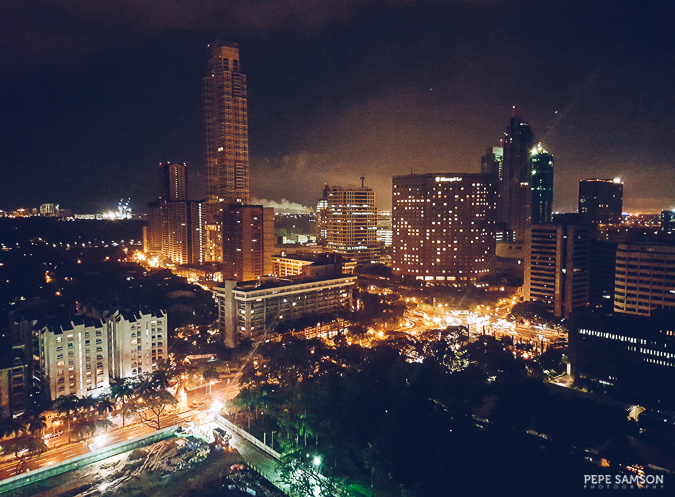 Experience the best of Makati City with Mireio Terrace, Raffles Makati's rooftop bar offering a sweeping view of the city. 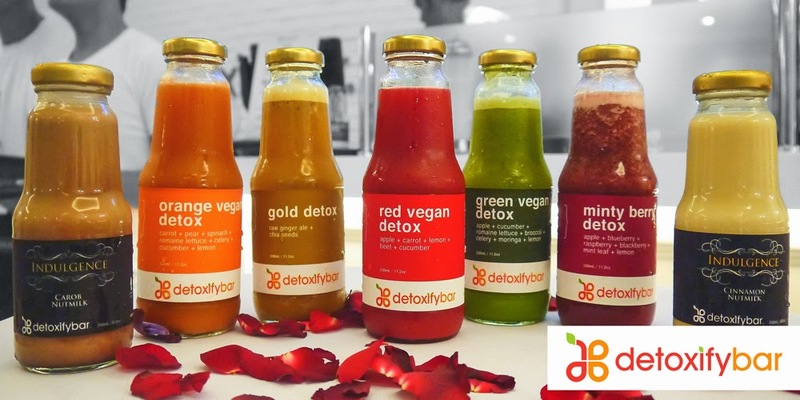 Here, globetrotters and professionals hangout, sometimes working and more often, chilling after a long day. The lineup of libations is exquisite, the bar chow list extensive. 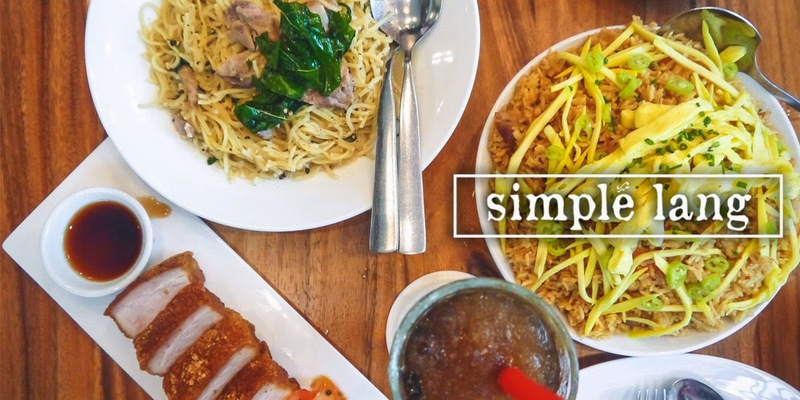 Watch out for their Happy Hour promotions that change regularly—from unlimited wine and oysters and free-flow champage to endless pours of rosé and beers. The ambience is unmatched, and the sunset view simply stunning. 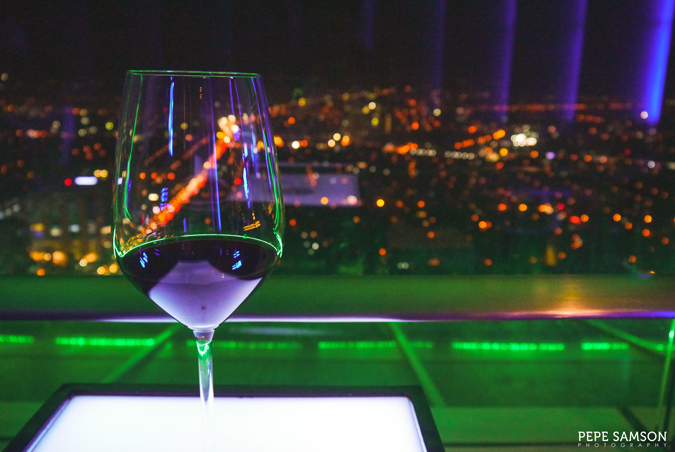 If you seek an upscale hangout spot in Ortigas, VU’s Sky Lounge at the 45th floor of Marco Polo Manila is the place to visit. 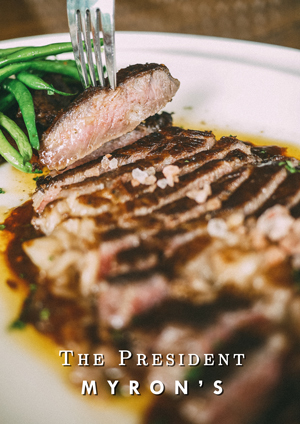 With two alfresco areas offering stunning views of Pasig and Mandaluyong cities, the elegant, dimly-lit bar stands high and proud in the midst of the business district. VU’s has an extensive selection of tapas, cocktails, spirits, wines, and beers. 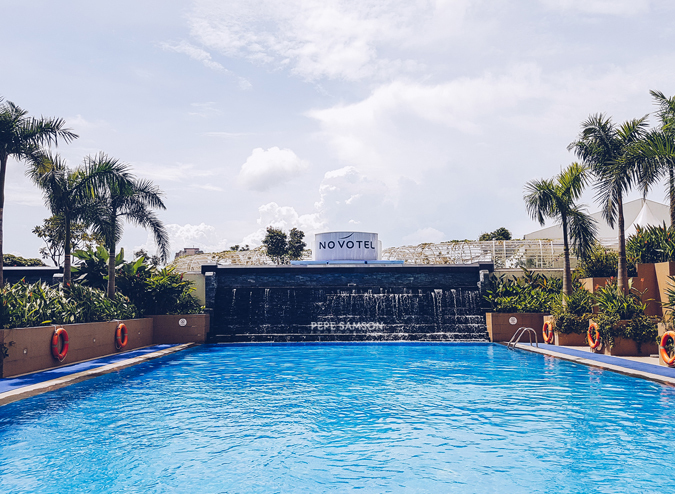 A DJ's booth in front of a swimming pool? YES, PLEASE! 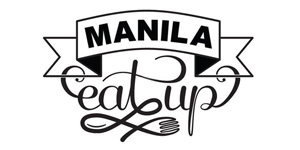 Add that to the fact that the bar is just nearby, and you have the formula of a perfect night in Quezon City. Novotel Manila's bar and lounge located at the 6th floor offers delicious snacks, well-made cocktails, beers, wines, and spirits—all yours to enjoy inside where the ambiance is similar to sports bars, or outside while enjoying the breeze and the pool view (and the sight of the occasional superstar musician checked-in at the hotel and performing at SMART Araneta Coliseum). 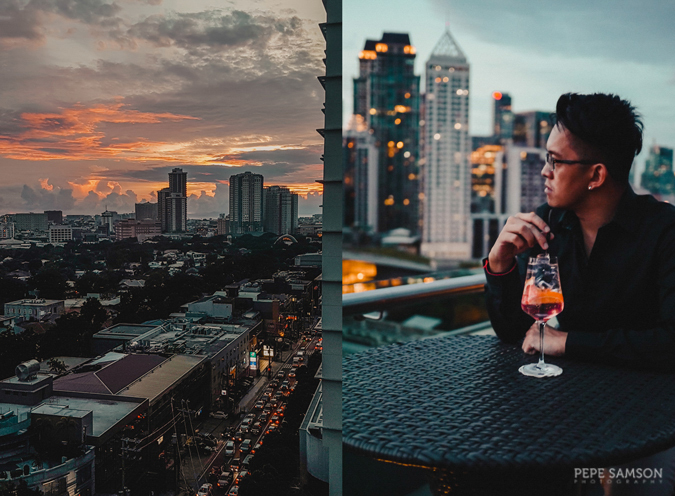 Currently one of the hippest rooftop bars in Makati, The Penthouse 8747 caters to a wide range of customers: from yuppies working nearby eager for a nightcap to models and DJs unwinding after a long day. The Great Gatsby-inspired interiors are classy, the heavy furniture adding to the super stylish ambiance. Great music, interesting crowd, and reasonably-priced food and drinks. 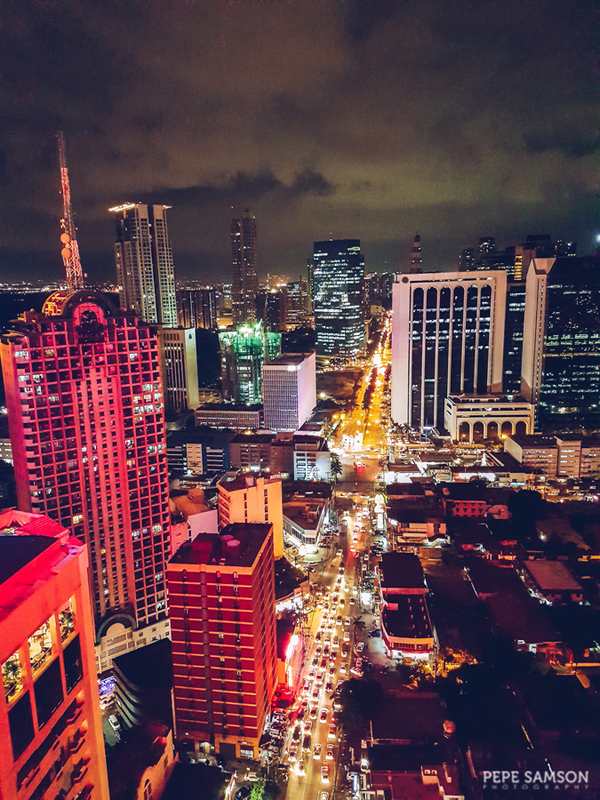 High above what is probably the busiest street of Makati is Firefly Deck—City Garden Grand Hotel’s rooftop bar located at the 32nd floor. Offering a wide range of bar grub as well as a delicious Spanish-Mongolian buffet, Firefly is one of my personal favorite discoveries this year. 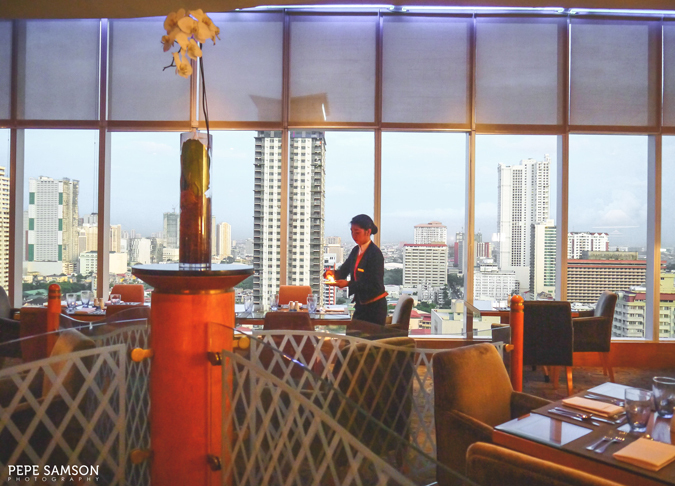 The staff is great, and the 180-degree view of Makati is unparalleled. 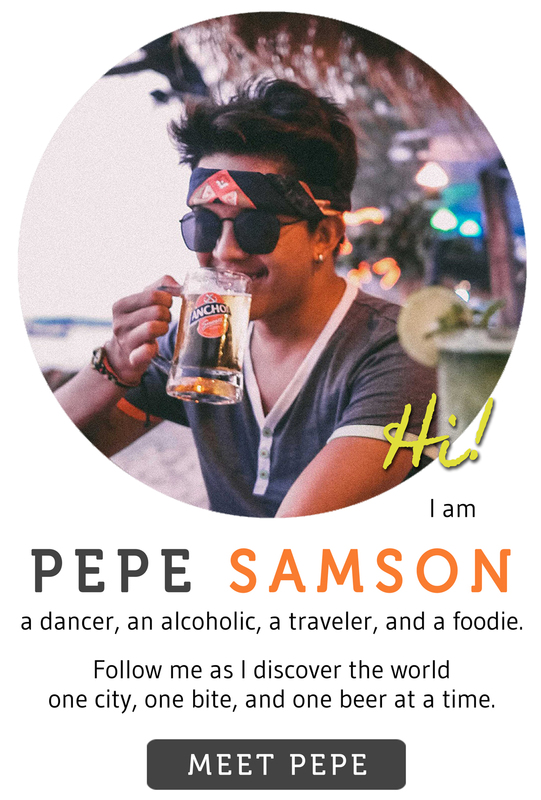 If you love to drink, dance, and meet travelers, you have probably gone to Z Hostel and you probably loved it. it’s amazing how such a small space can get so filled with people, especially on Fridays and Saturdays. Cheap beer and cocktails mingle with street food, as guests chatter excitedly with other partygoers visiting the bar or with foreigners checked in at the hostel. My couchsurfer friend always takes his guests here—and his success rate at making his guests happy is at 99%. Don’t be fooled by the decrepit, scary building at the corner of Samat Street and Shaw Boulevard. It houses one of the nicest rooftop bars in the metro: Bunk Bar. The Berlin-inspired bar and restaurant serves amazingly affordable grub and drinks, perfect for people who just need a great time high above the city. It also doubles as an art gallery, so expect to meet a hipster-ish crowd. 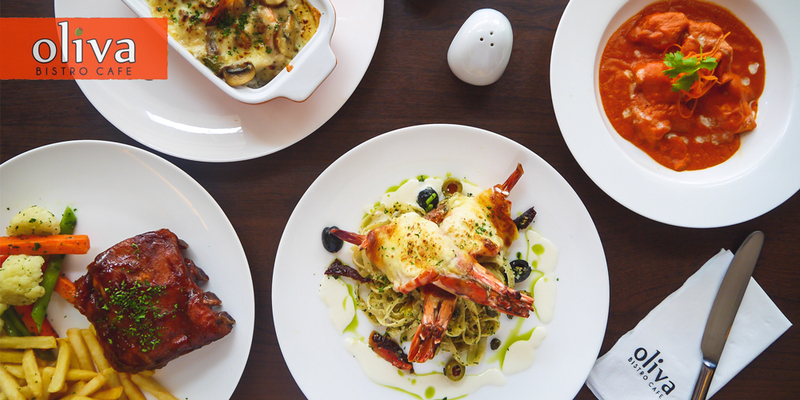 For people with the moolah, 71 Gramercy is undeniably the nicest hangout place in Makati. 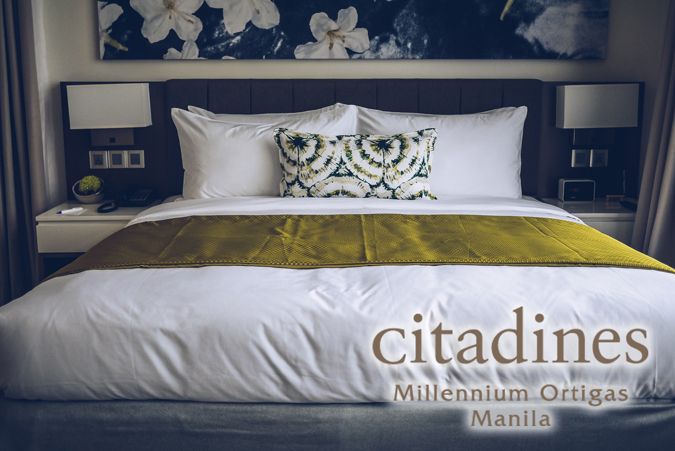 Located at the 71st floor of Gramercy Residences, it certainly offers the best view of Makati. Oversized couches, private spaces, intimate lighting and expensive drinks give the highest bar in Manila that feel of exclusivity. 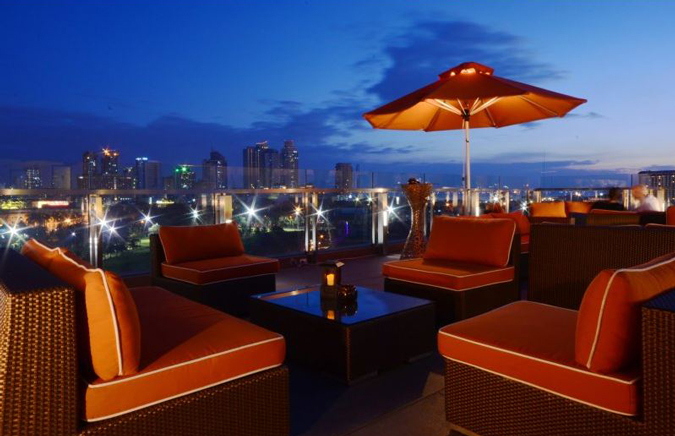 Experience a different side of Manila with Pan Pacific Manila’s rooftop lounge. 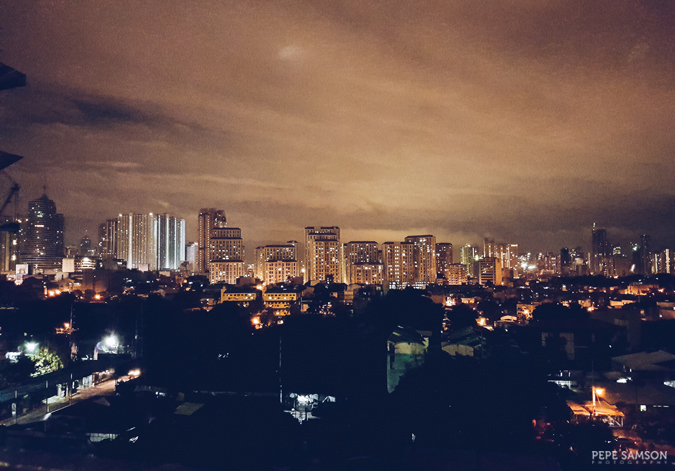 With sweeping views of the city from full walls of floor-to-ceiling windows, Pacific Lounge is a place worthy of checking out when you’re in Malate. It doubles as the hotel's buffet area, but window-side seats guarantee a bit of privacy. The gazebo built beside the gardens and fountains is the best spot for some shisha. 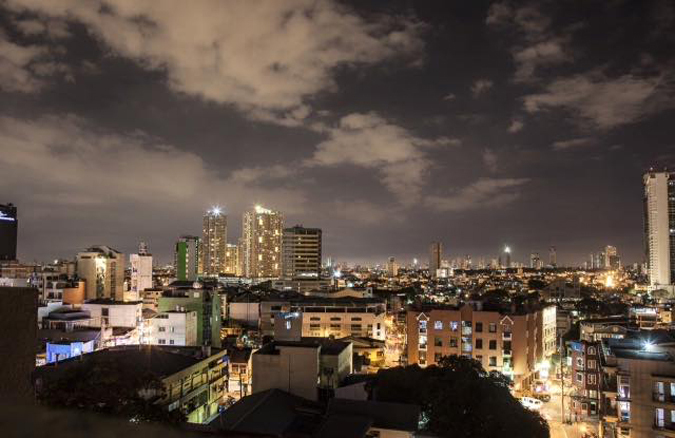 What are your favorite rooftop spots in Manila? Can you add anything to this list?